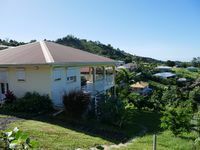 Property 1: Studio Ti'coin Paradis (1) ... Cape on the North! Property 6: Large studio, SEA VIEW, 300 euros / week, air conditioning, swimming pool, terrace, garden. STUDIO IN THE BOTTOM OF VILLA. Property 9: STUDIO IN THE BOTTOM OF VILLA. Property 21: The villa, spacious and pleasant APPT F4. Stunning sea and countryside. Property 41: charming rental in Trinidad with sea view and pool. Studio Ti'coin Paradis (2) ... Cape on the North! 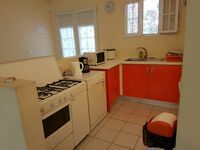 Property 45: Studio Ti'coin Paradis (2) ... Cape on the North! Belle maison avec une vue fantastique. Maison dans un quartier tr&egrave;s agr&eacute;able, dommage qu&rsquo;il y avait une maison en construction comme voisin. Parfaitement &eacute;quip&eacute;. Pr&egrave;s des belles plages et plusieurs activit&eacute;s. On a ador&eacute;!